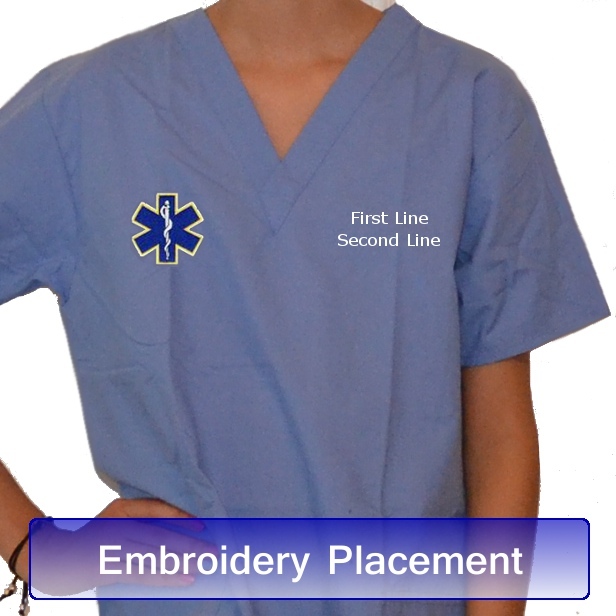 Names entered below are embroidered on the left chest. 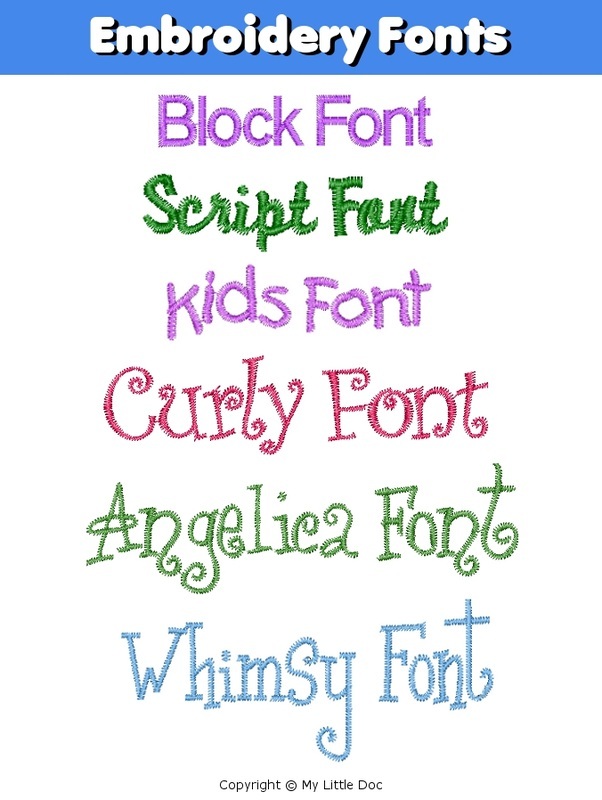 Maximum of 17 Characters per Line including spaces. 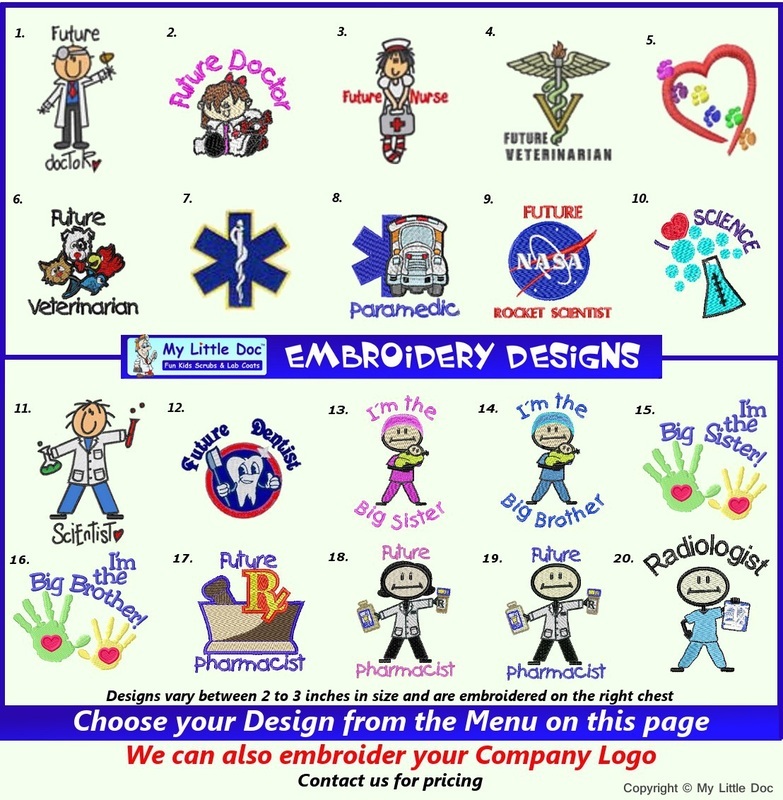 Embroidery Designs are sewn directly onto the right chest. 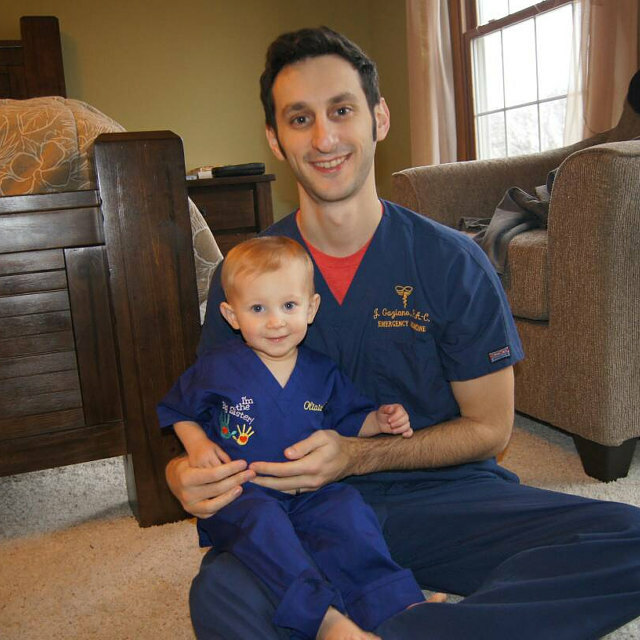 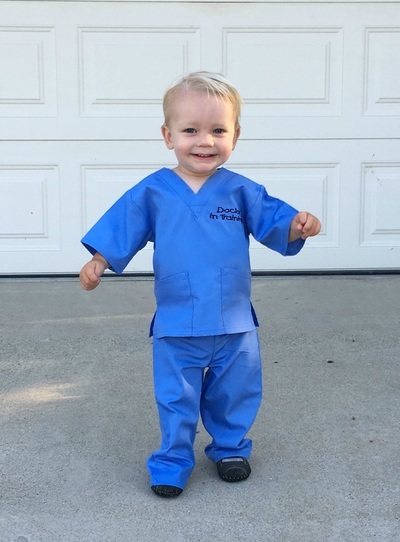 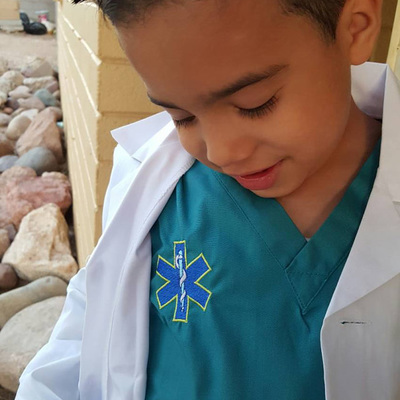 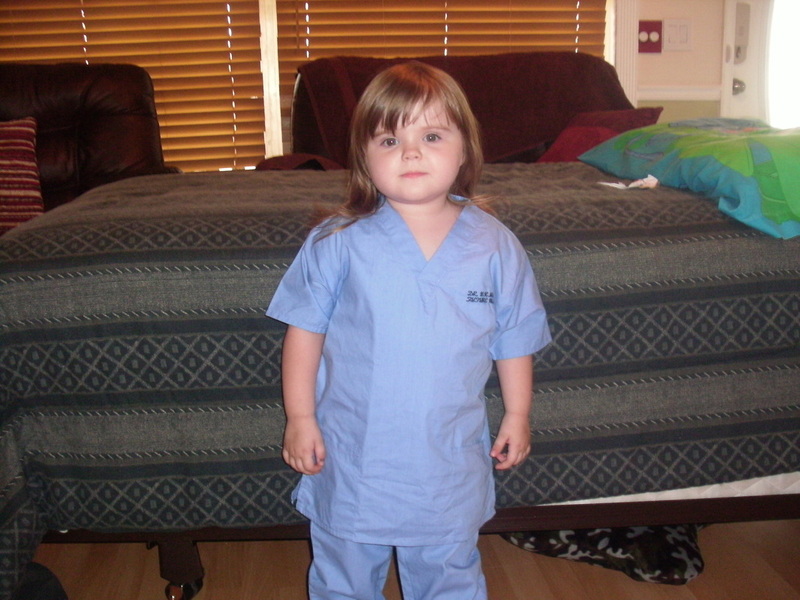 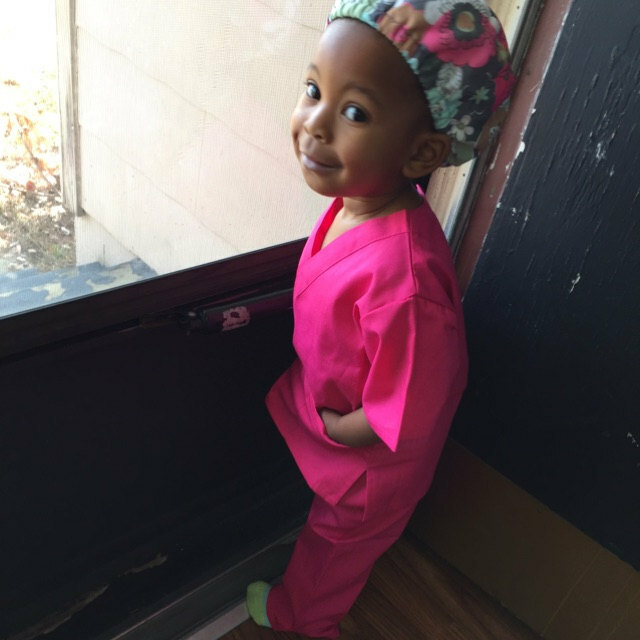 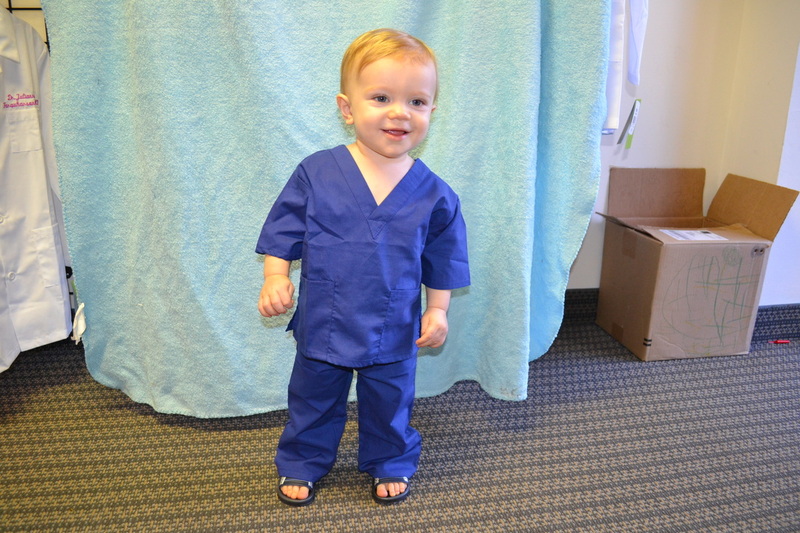 Your Little Doc will look so cute in these Ceil Blue Kids Scrubs! 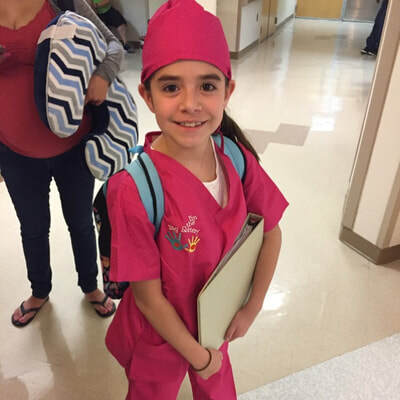 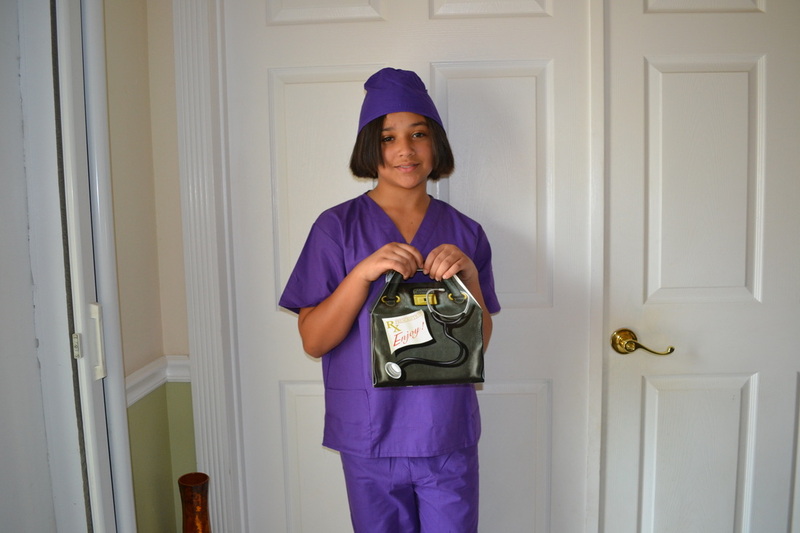 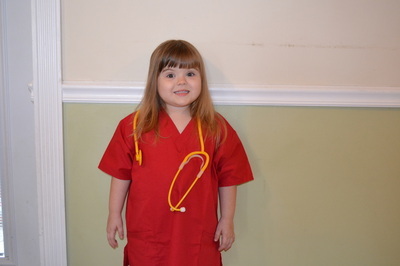 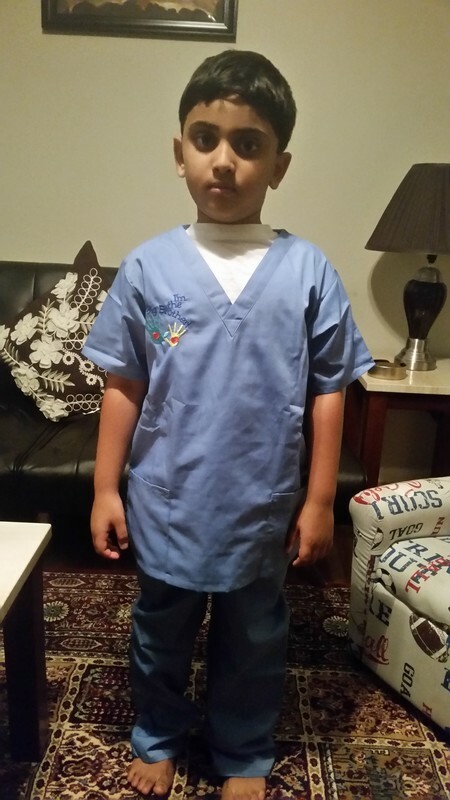 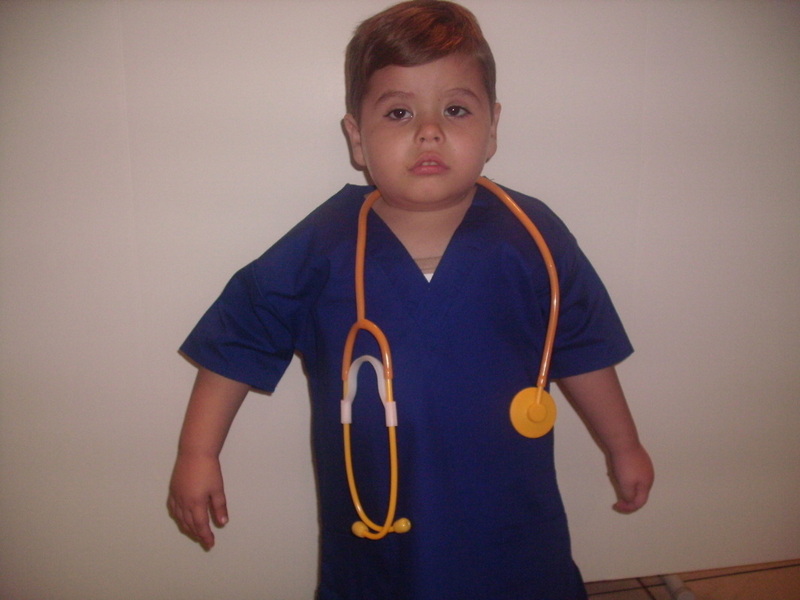 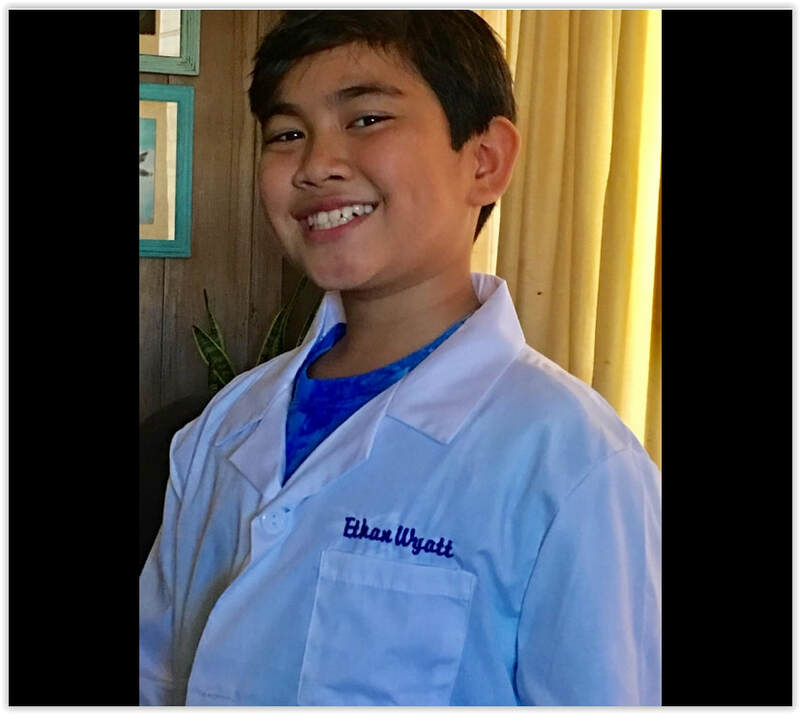 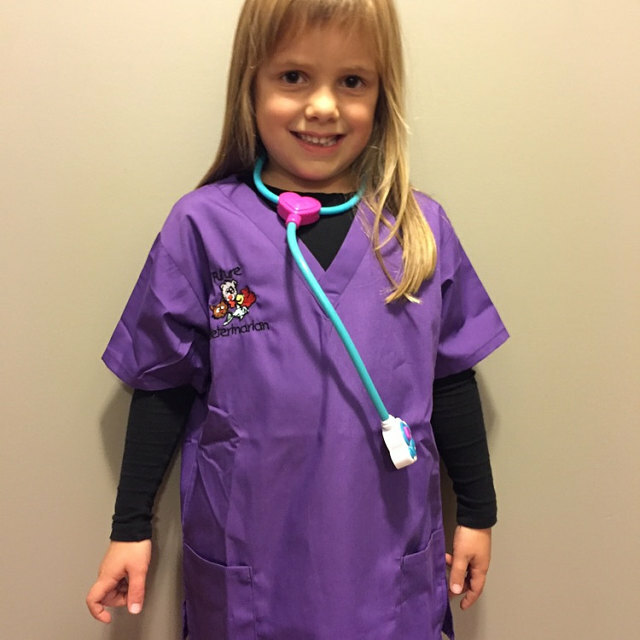 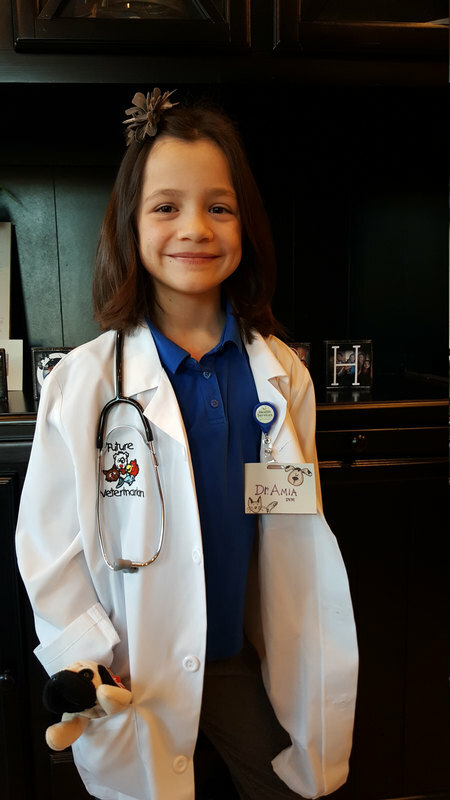 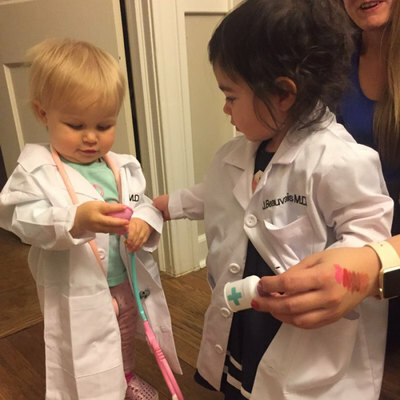 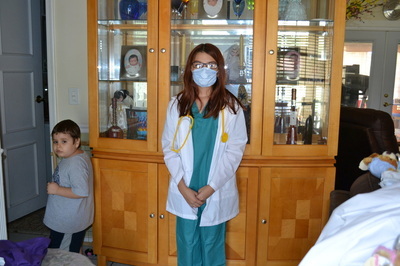 My Little Doc offers quality, professional scrubs for children. 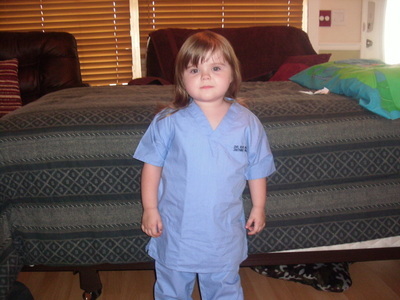 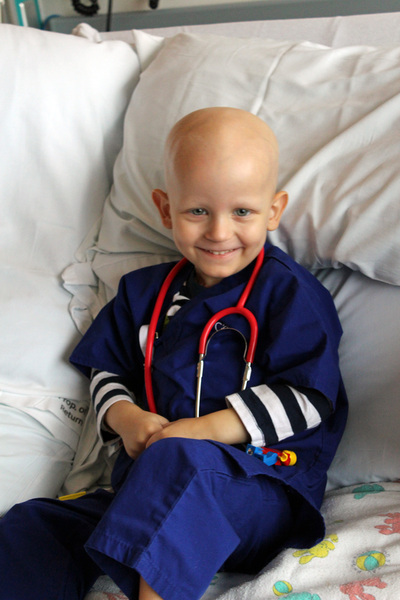 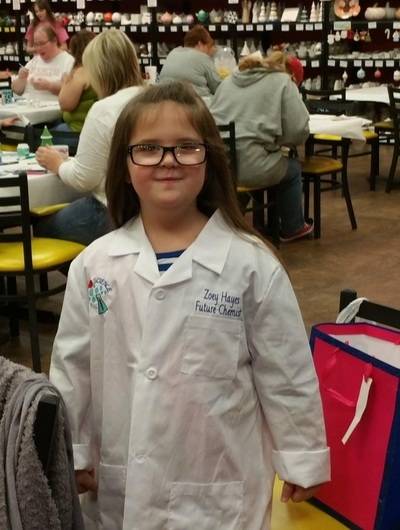 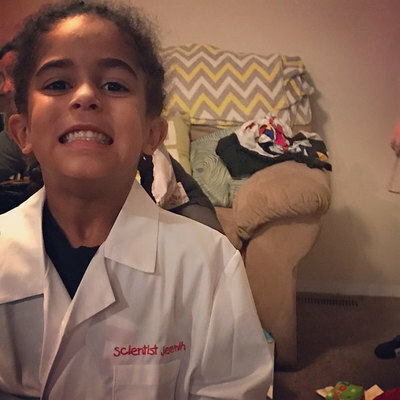 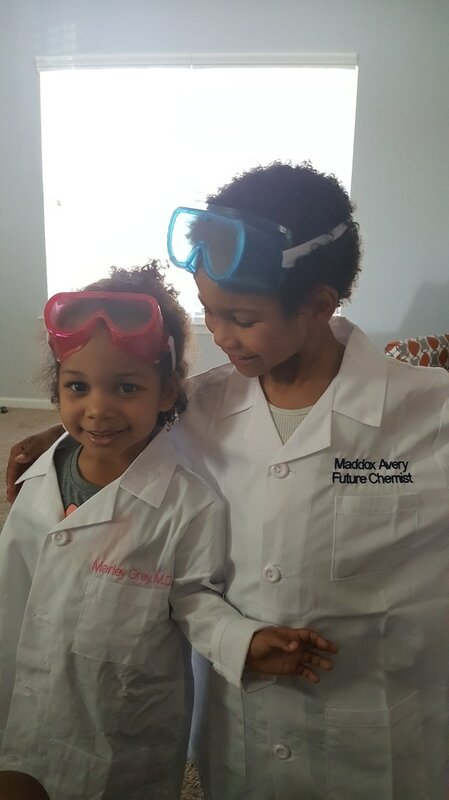 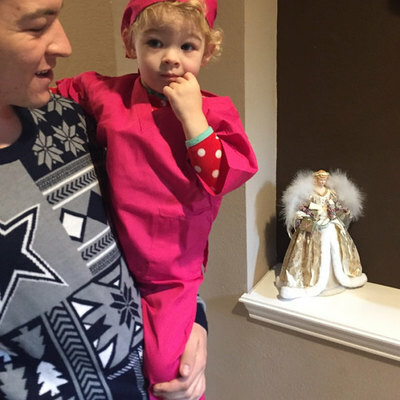 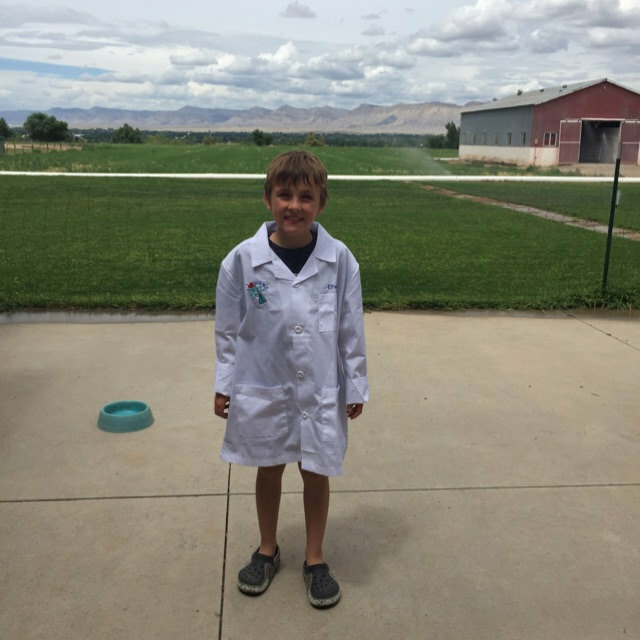 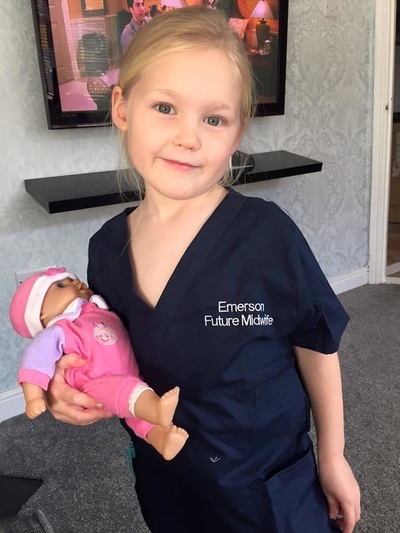 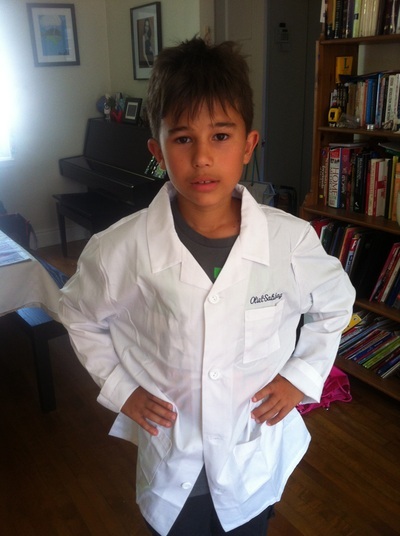 We stand by every product we sell whether it is Kids Scrubs or a realistic Lab Coat. 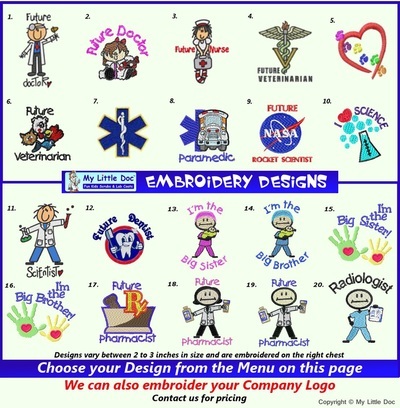 Quality customer service ensures that you order is processed quickly and correctly. These are REAL Scrubs not inferior "Costume Quality" products. 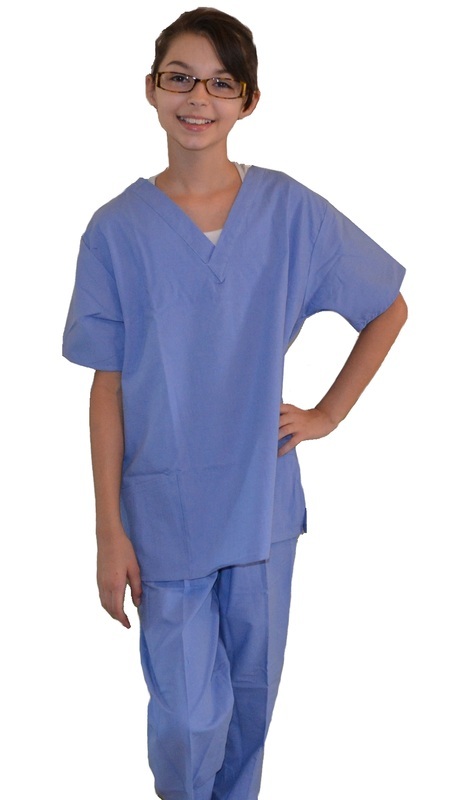 Children's 3 Pocket Scrub Set. Shirt has 2 side pockets and pants have 1 back pocket. 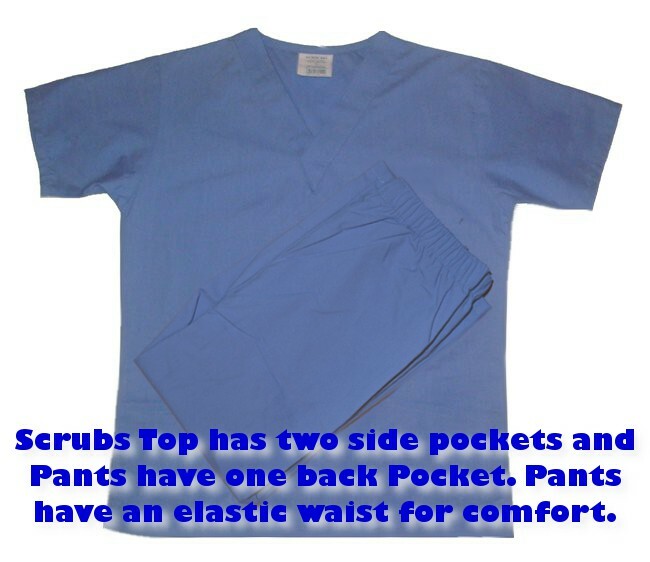 Pants have an elastic waist for comfort. 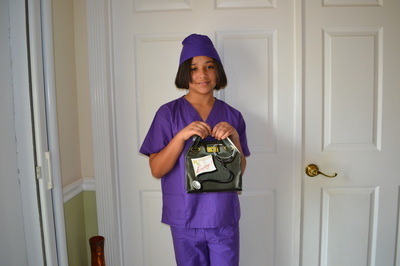 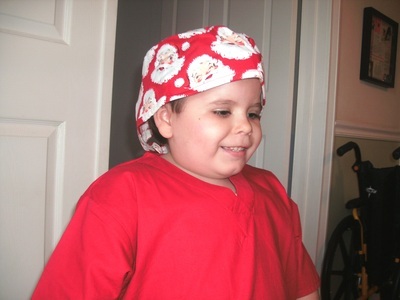 Our Kids Scrub Sets are the same fabric and quality as most adult Scrub Sets. 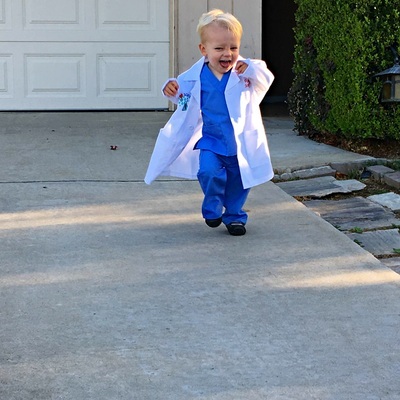 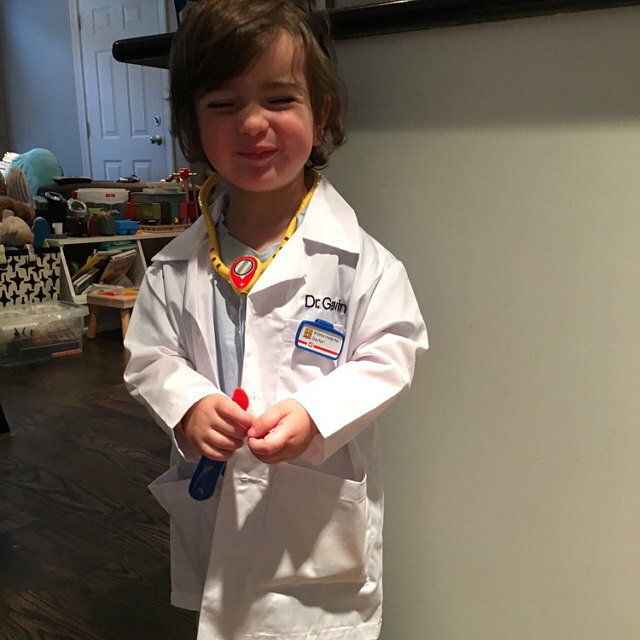 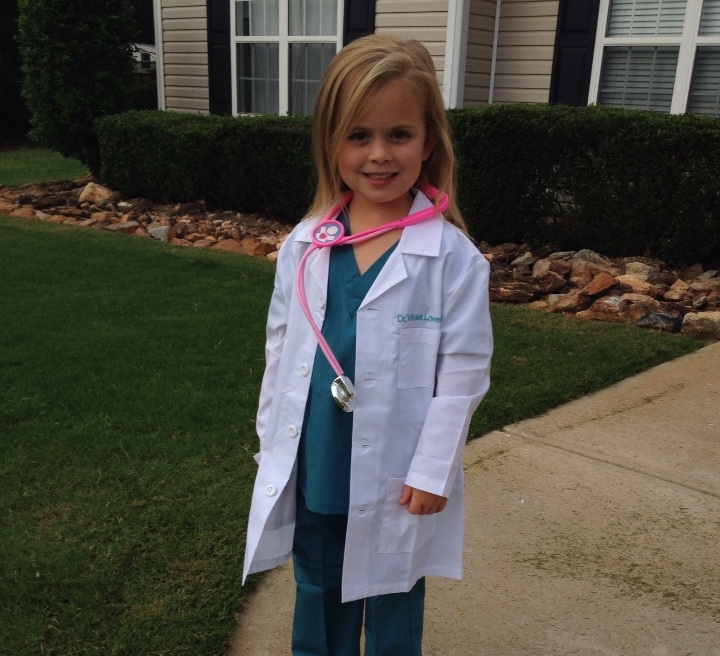 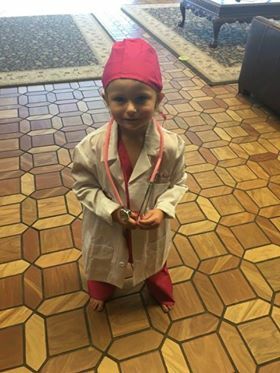 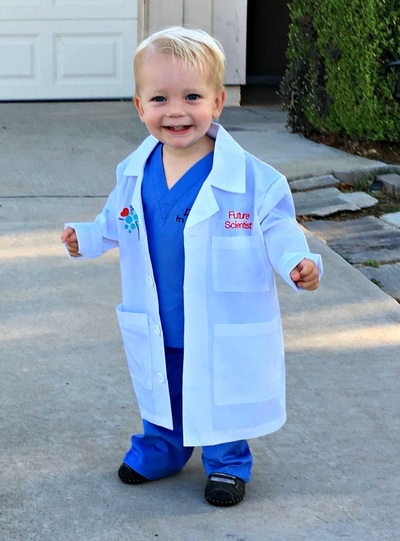 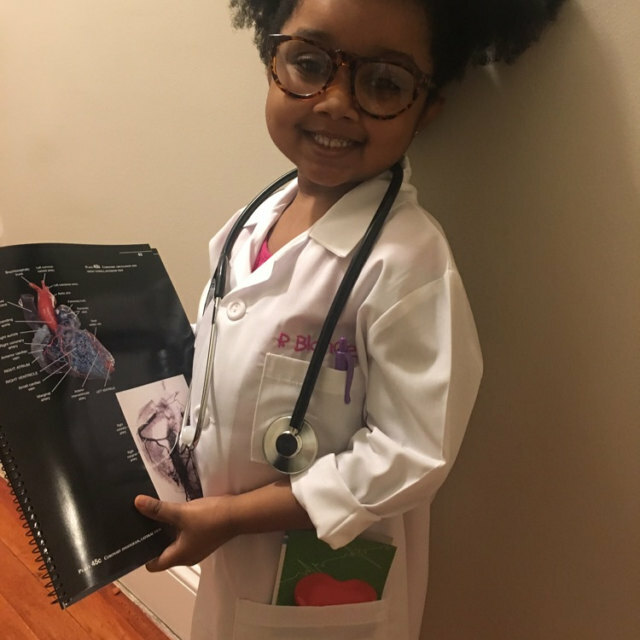 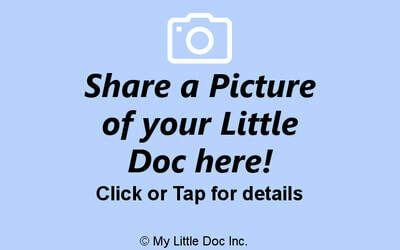 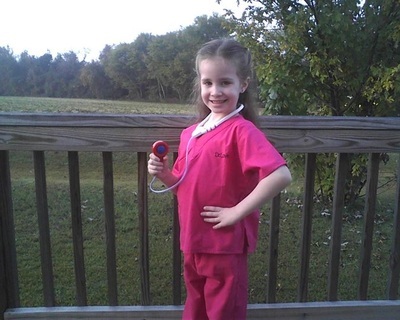 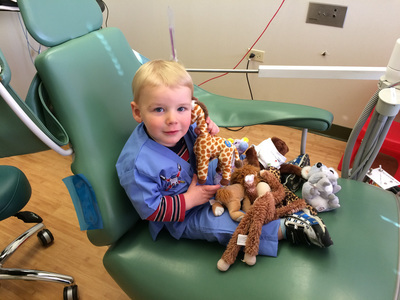 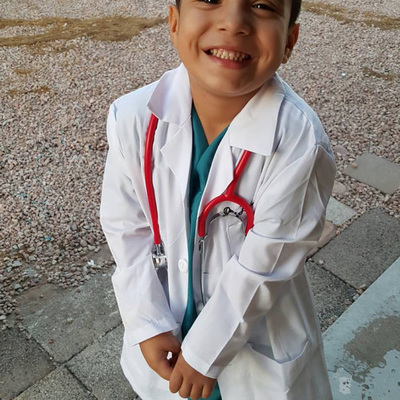 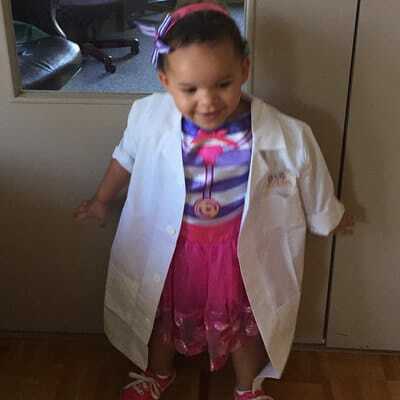 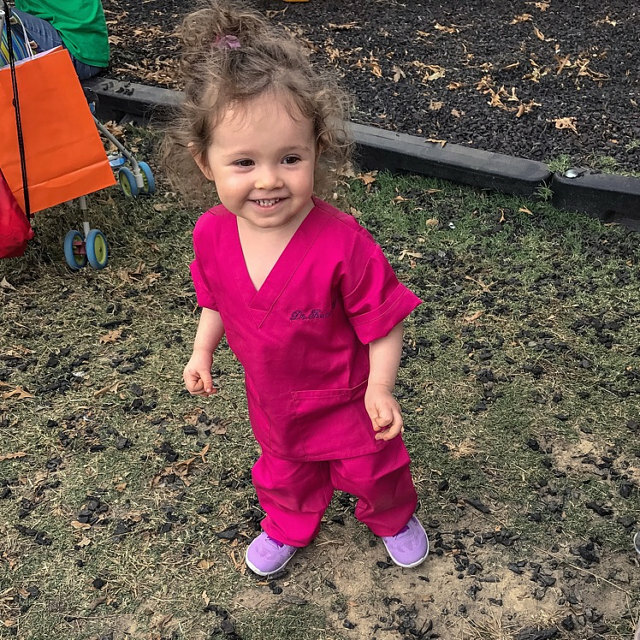 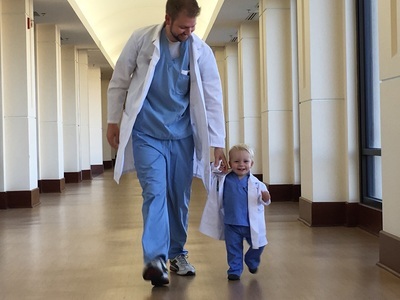 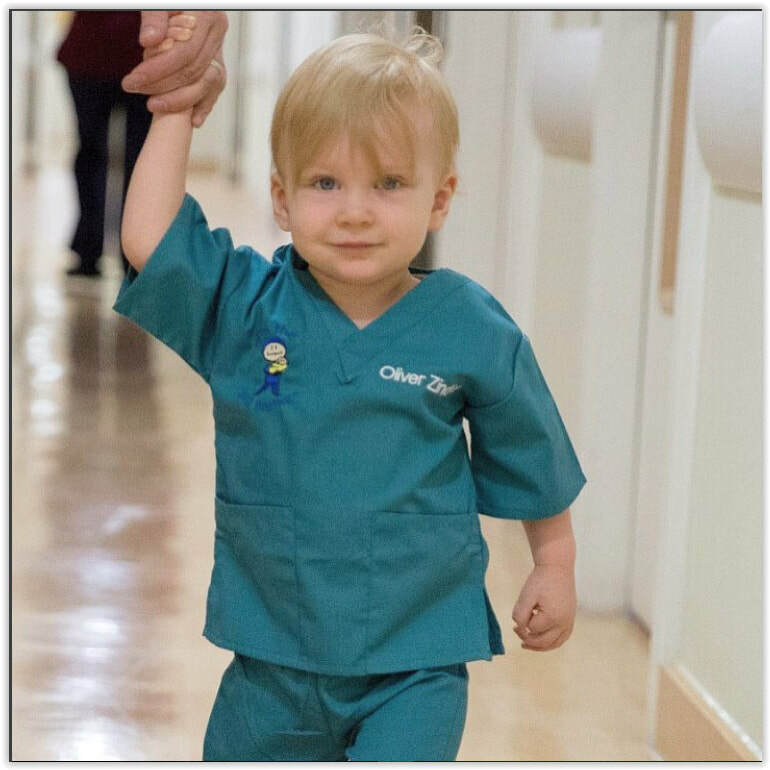 Click here to share a picture of your Little Doc! 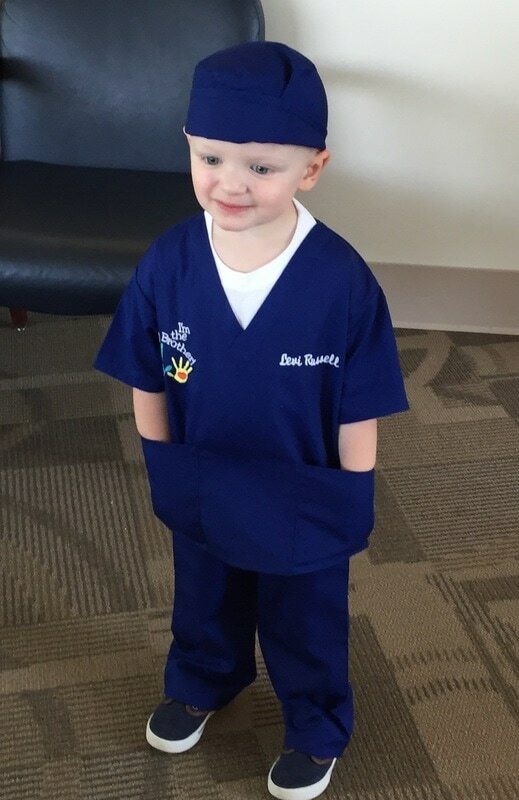 Scrub Caps available in 6 Great Colors! 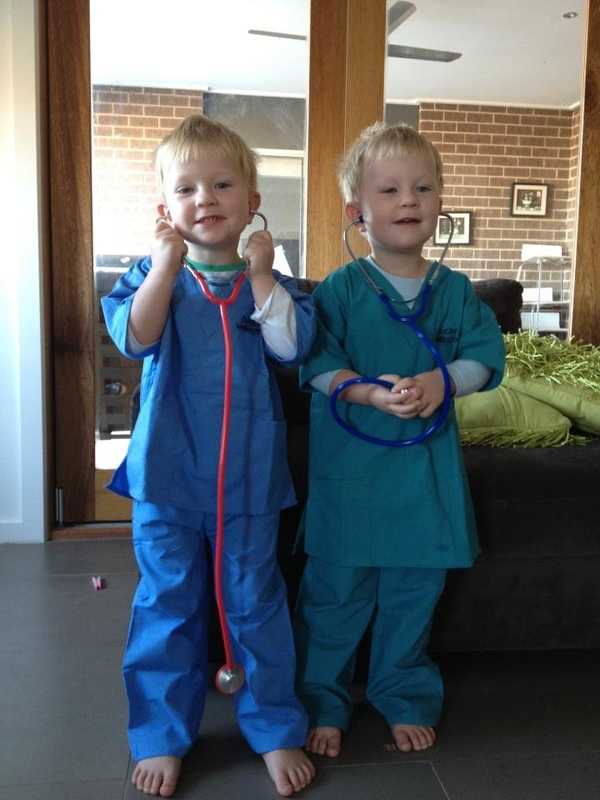 Cute Scrubs Bears wearing Pink, Blue, and Teal Green scrubs.